Palestinian demonstration in Greece after Israel bombed the PLO ship that were supposed to bring deported Palestinians from Athens back to Haifa in Israel. Ramallah. 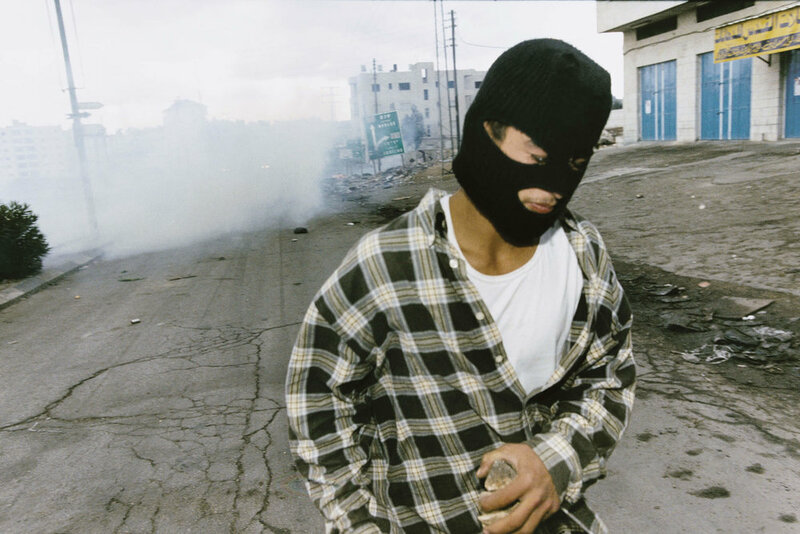 Second Intifada November 2000. Lebanon. Four-year-old Ali became parental after Israel's bombing of the UN-camp in Kaana. Her whole family died when Israel bombed the UN-camp in Kaana. The refugee camp Nahr el-Bared in Lebanon. Palestinians in Gaza. 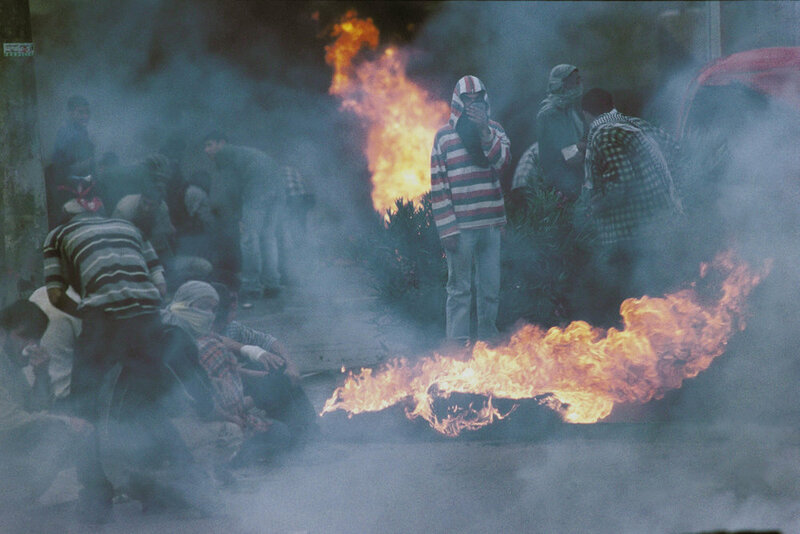 First intifada. 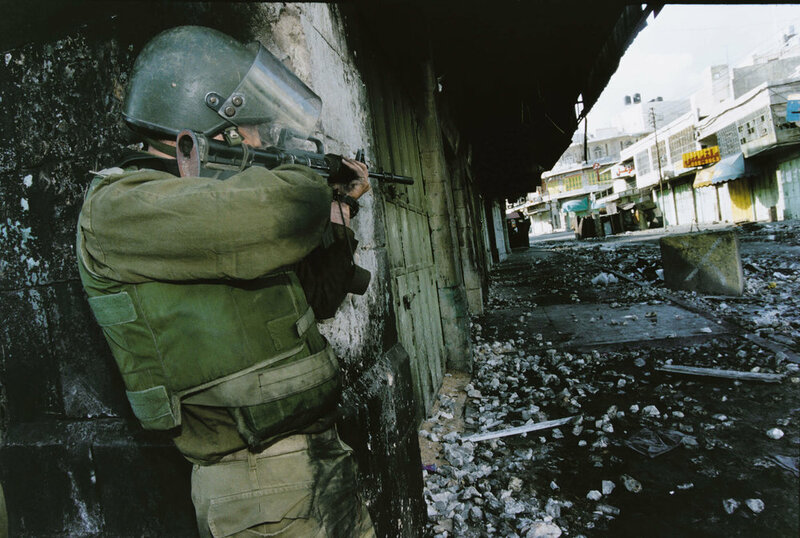 Gaza January 1996. Palestinians vote in the first Palestinian elections ever. Jenin, after the siege of Israel. An Israeli grenade hit the bedroom of the family Hussein in Beit Jala. 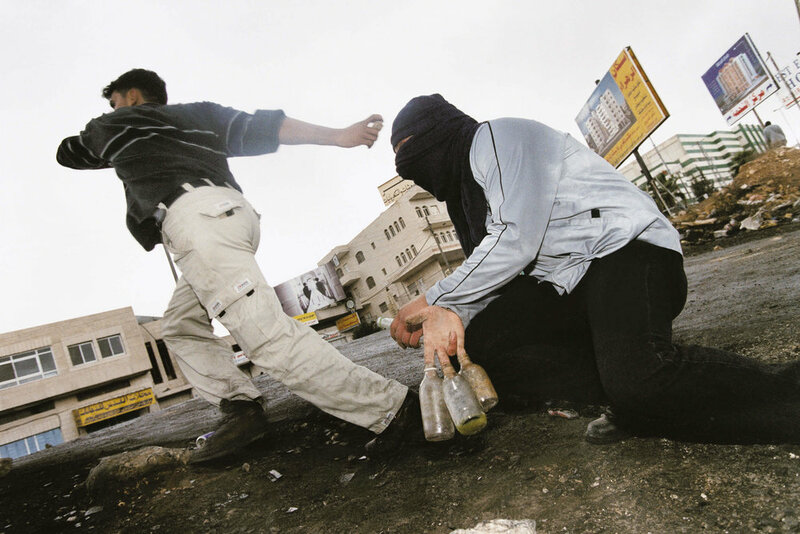 Second intifada. Lebanon. The Palestinian refugee camp Shatila in Beirut. Jerusalem. Palestinians celebrate the Oslo agreement on September 13, 1993. Jericho. 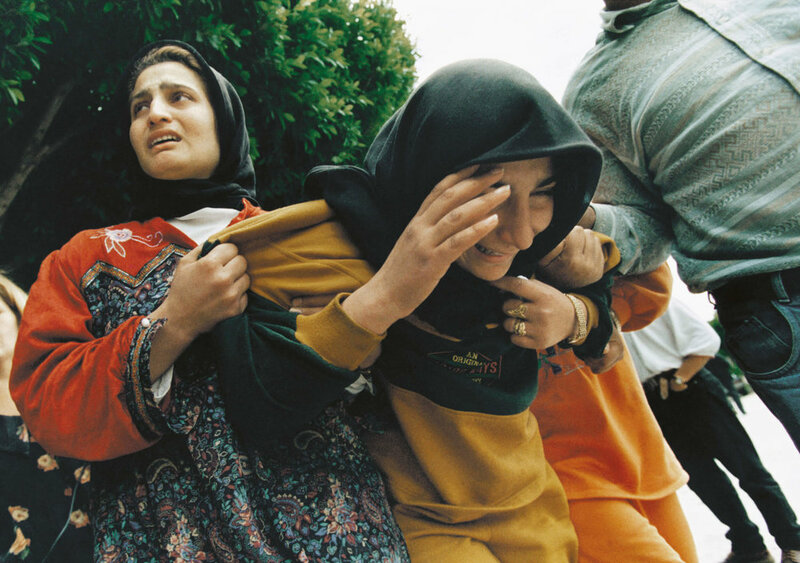 Turmoil when Palestinians celebrate the Oslo agreement on September 13, 1993. 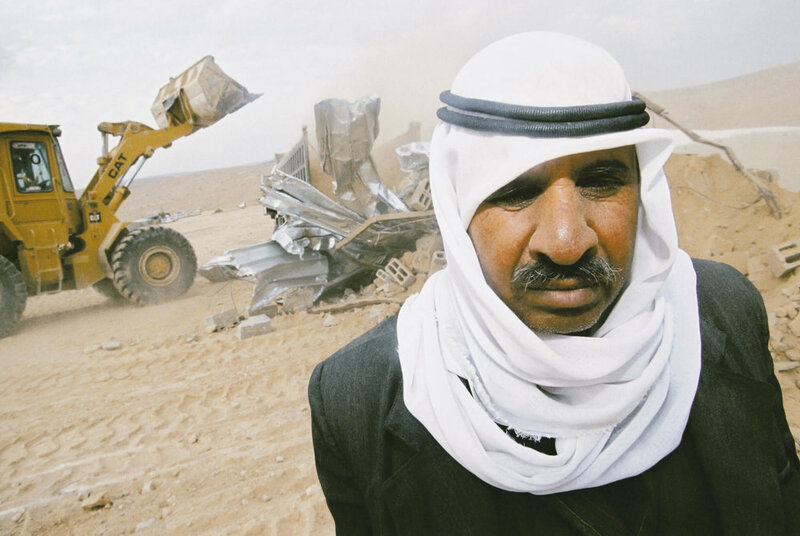 Israeli authorities demolish Bedouin's house. 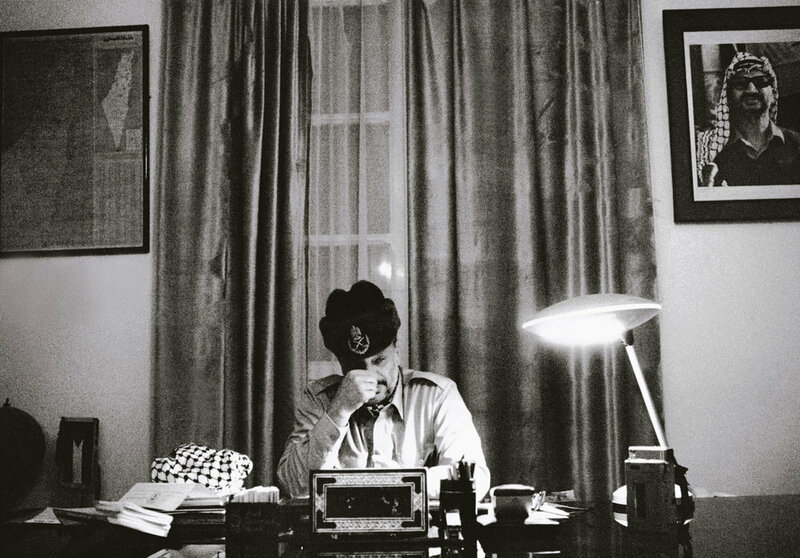 PLO Chairman Yassir Arafat in his head quarter in Tunis. Gaza January 1996. PLO Chairman Yassir Arafat vote in the first Palestinian elections ever. Gaza. Palestinians celebrate the Oslo agreement on September 13, 1993. The black limousine took us through the darkness, past road blocked streets towards an unknown destination. All we knew was that out there somewhere the notorious Yassir Arafat waited. A short time previously an Israeli plane had bombed the Palestinian area outside Tunis. Nearly a hundred people had been killed and Arafat’s private residence lay in ruins, so the situation was tense. When we arrived, the armed guards were barely visible in the weak light of the street lamps. It was obvious that inside there was something or someone worth guarding. After a security check we entered the Palestinian Freedom Fighter’s centre and Arafat’s den. The door was flung open and in came the legendary leader, praised by some as a freedom fighter and hated by others as a terrorist leader. The first thing he did was to notice my expanding waistline and, with a smile, comment that I ought to lose weight. Thereafter followed a conversation that lasted nearly two hours. A meeting that was the beginning of the work on this book.